During Lazada 5th Birthday Sale, I was scrolling through the website finding something to buy for myself. Not going to lie, I have so many products that I want to buy like makeup, beauty products, makeup brushes, bags and more. But none of them caught my heart. So, I didn't buy anything during the sale. A few days later, I went back to Lazada's website and finding something to pick again. Then I decided to choose this set and add it to my cart. I didn't straightly checkout my cart because I want to wait if I have any other things to buy. Since I was using my phone at that time, I got easily distracted by the social medias and I totally forgot about my cart. And guess what happened next? The price from RM29.95 went up to RM59.95! That's no way I'm going to spend my money with that price when I can get the same product for the lowest price. Right? Then I closed the window with frustrated and regret feelings during that time. To shorten up my stories, I went back to Lazada's website again the next few days and I got a good news. The price went back to RM 29.95 and I immediately check out my purchase right away. Only God knows how excited I'm to received this item. For your information too, I already received it on last Monday and let's do some unboxing and review. 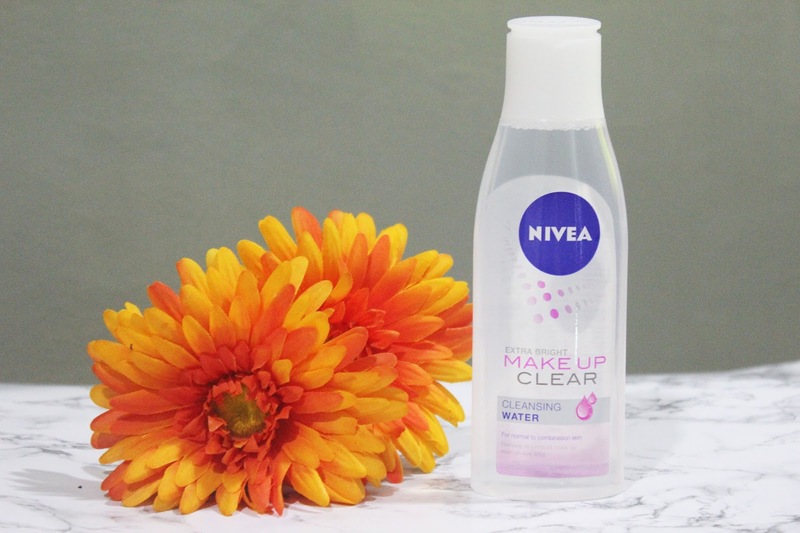 This cleansing water does a good job removing my makeup. It is similar to my Garnier Micellar Water and I can't find any different between those two. It just that, normally I will need at least two cotton pads to remove all my makeup including BB cream, powder, eyeshadow, mascara, blusher, lipstick and brow products. 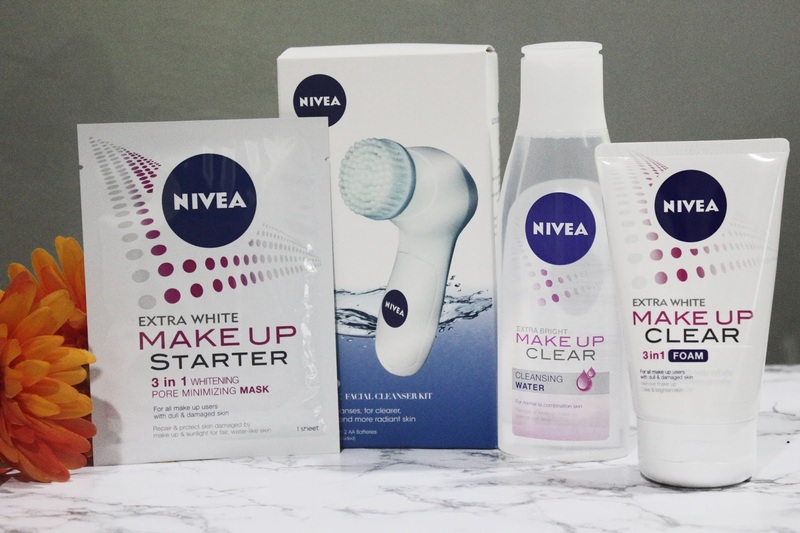 But not with this Nivea Cleansing Water because with one cotton pad, it removes almost everything on my face without me trying so hard to remove it. One thing that I noticed was this cleansing water sting your eyes a bit. So do avoid or careful when it comes to your eyes area. For your information, I'm not using a makeup cleanser for a long time now. 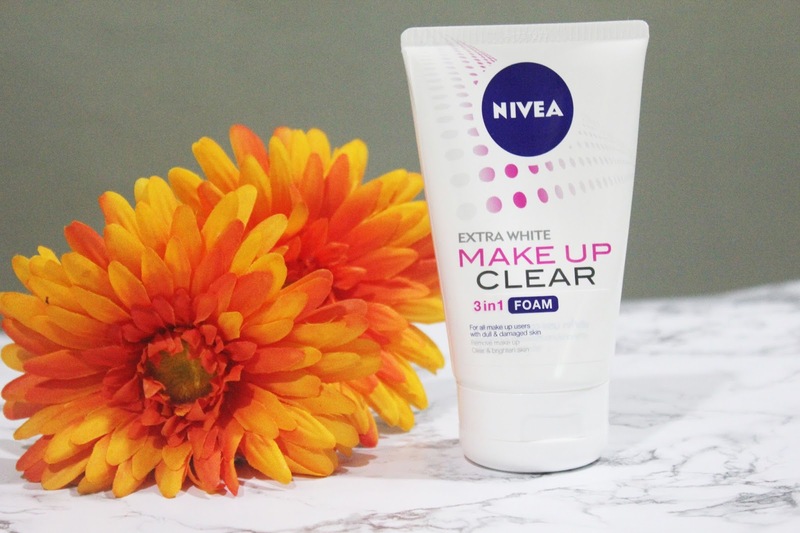 For me, my double cleansing term is, removing my makeup and wash my face with my daily facial cleanser. That should be enough, right? Because I don't see any point of using makeup cleanser while it works the same as your facial cleanser. The product itself has a nice subtle scent and foaming a bit. But I think because of the cleansing water already did a good job, that might be one of the reasons why this cleanser didn't give me so much different to my skin except my skin become a bit brighter and smooth. This is the main reason why I want this set so much. 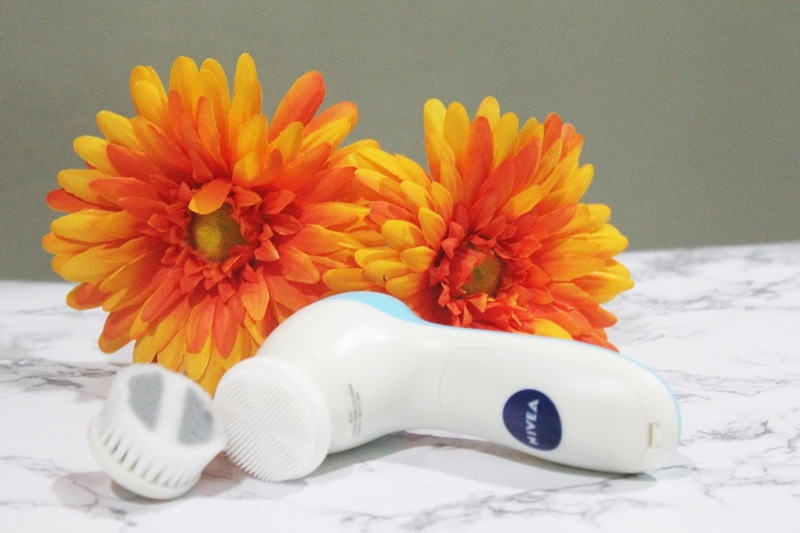 This brush machine works the best with the makeup cleanser. I used both of the brush, it still works the best. For the silicone brush, I use it for my daily cleanser while the other one I using it when I wearing a makeup because it will deep clean and removes the remaining that I have on my face. So far so good. I really really love the brush. 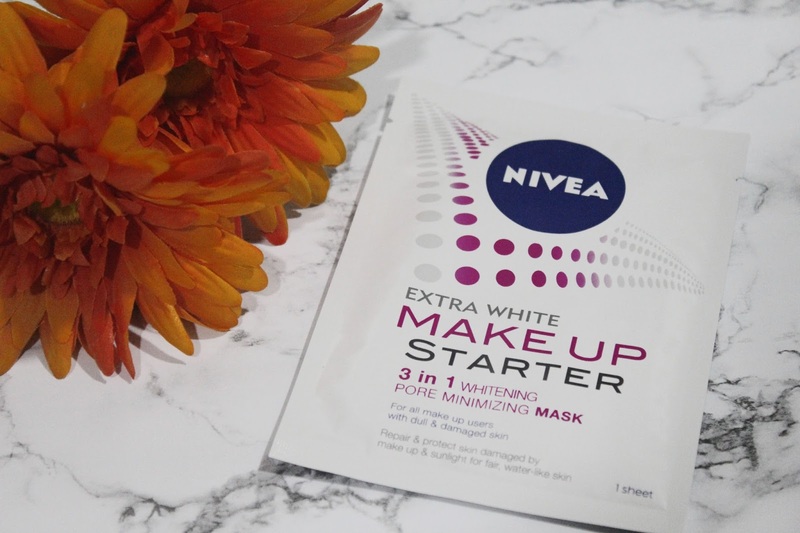 It makes my skincare routine easier and less time-consuming. I haven't get the chance to try the mask yet but I'm looking forward to using it. Hopefully, it will work well on my skin. I think I saw this line (Makeup Starter) in the tube version. I don't think I saw it anymore on the drugstores. As a conclusion, I really really love this set. It has all I need. I would like to recommend you guys to try it if you're interested. It's totally worth the money, trust me. I think that's all I have for now. Thank you for stopping by. Have a nice weekend with your loved one. Have you ever tried any of this set? OMG! 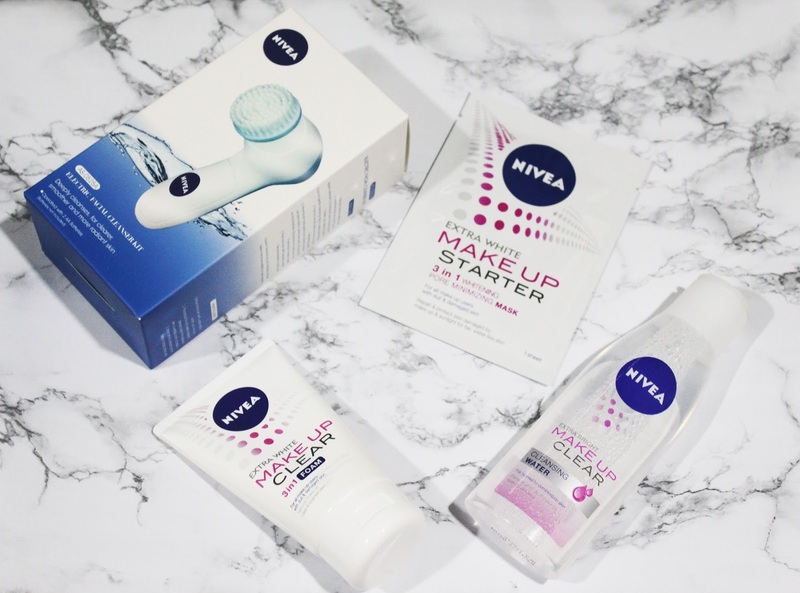 I want that cleansing brush! Where can I find it?